Trustworthiness, obedience, loyalty, and responsibility are just a few characteristics that define a true Scout. These qualities are exactly what the Office of War Information, created in 1941 by Franklin D. Roosevelt, needed for distribution of war posters across towns and cities in the United States. 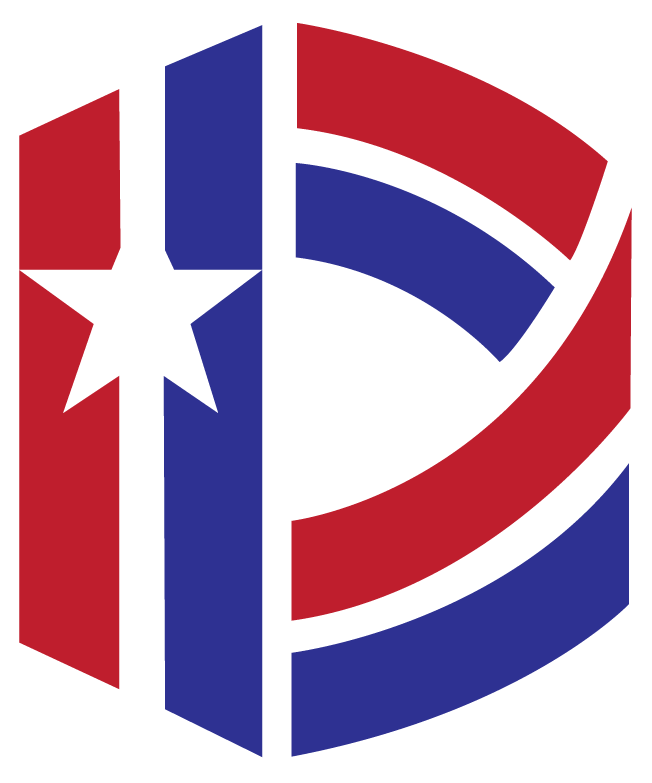 The work and diligence of Scout organizations played a key role in conserving materials for the war effort and providing propaganda materials in local businesses for the American public. 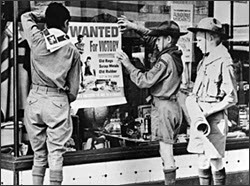 Boy Scouts display a recruitment poster at a local store. Many Scouts distributed posters, by the thousands to local stores. In October 1942, the first poster was issued for Columbus Day, which celebrated the 450th year of the Columbus voyage. 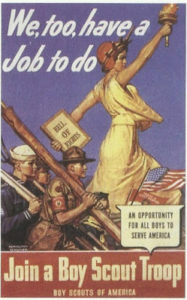 Over 2,300 communities joined the program, by 1942, with new posters produced every two weeks. In 1943, the Boy Scouts were named the “Official Dispatch Bearers” with participation of approximately 1,600,000 members. Also, in 1941, Franklin D. Roosevelt signed an executive order, which banned discrimination against government and defense workers. Due to Roosevelt’s order, African-American troops received the same war posters to distribute in their communities. Other organizations that participated in the program were the Outdoor Advertising Association of America, the Association of American Railroads, and Western Union. Scouts also contributed on the home front by conserving materials for the war effort such as aluminum, paper, rubber, and milkweed (used to fill life jackets). Scouts were responsible for going door-to-door collecting substances. Between March and April of 1944, Scouts collected over 300,000 tons of wasted paper. The War Production Board gave 299, 936 Scouts the Eisenhower Award for their contributions in collecting paper products. Scouts collecting scrap metal during the Second World War. 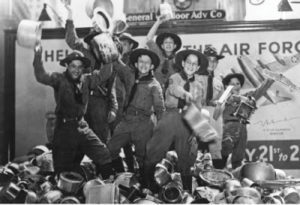 During the Second World War, the Girl Scouts collected scrap metals, fat, and clothing. They also grew Victory Gardens, participated in Farm Aide projects, and managed bicycle couriers. During the war, young girls had the opportunity to participate in new programs, such as the Defense Institutes, in which they learned survival skills. 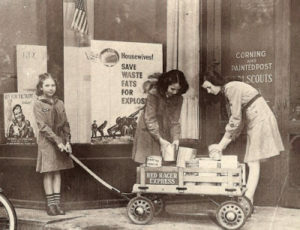 Girl Scouts collecting fat or lard outside a local shop. Due to rationing of certain ingredients, including butter and sugar, the Girl Scouts stopped production of the famous Girl Scout cookies in 1941. 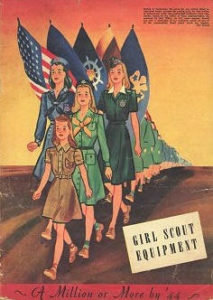 Until 1945, Girl Scouts distributed calendars to the public. The efforts of Scouts throughout the Second World War boosted morale among the American public. They provided tons of materials for supplies sent overseas throughout the war. For example, Girl Scouts collected 1.5 million pieces of clothing for war refugees, according to author Sarah Sundin. The achievements by Scouts were monumental for the U.S. home front commission.